Blog — EVJ WEDDING CO. Since the peak wedding season is May-September, winter weddings already have a way of standing out and feeling so special. With the chilly weather right around the corner, we’ve decided to highlight our favorite reasons to have yourself a merry little winter wedding! So you’re thinking about writing your own vows… Well, we’ve got you covered! While it might seem like a daunting task, all you really need are a few tips to get you going. With heartfelt words and little creativity we promise that writing your own vows will be easier than you think. We’ve listed our top 7 tips to help you stop stressing and start writing. 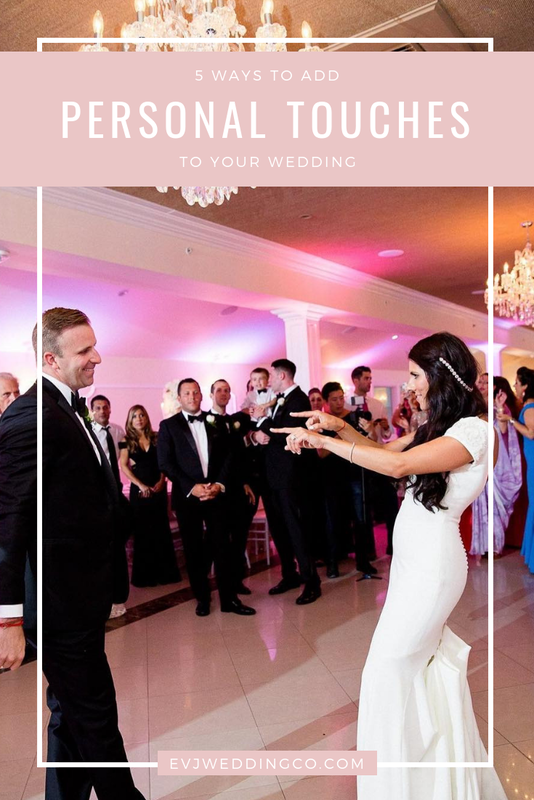 In the midst of planning your wedding it’s likely you’ve had so many decisions to make that you’ve started to lose sight of what the day is really about- celebrating the love between you are your fiance. With family and friends all eager to give their two cents, having a wedding that is uniquely you can become a bit more challenging than you once thought. We’re outlining 5 ways that you can be sure to add those special touches. We hear it all the time- when you first get engaged and pick a date your wedding feels like it's SO far away. Then you wake up one day and all of sudden it’s a few months away, you're losing sleep over all of the little details and wondering if the stress free wedding you’re dreaming of is still possible. That’s why we’re outlining the top 10 reasons we think all brides should add a day of wedding coordinator to their team!